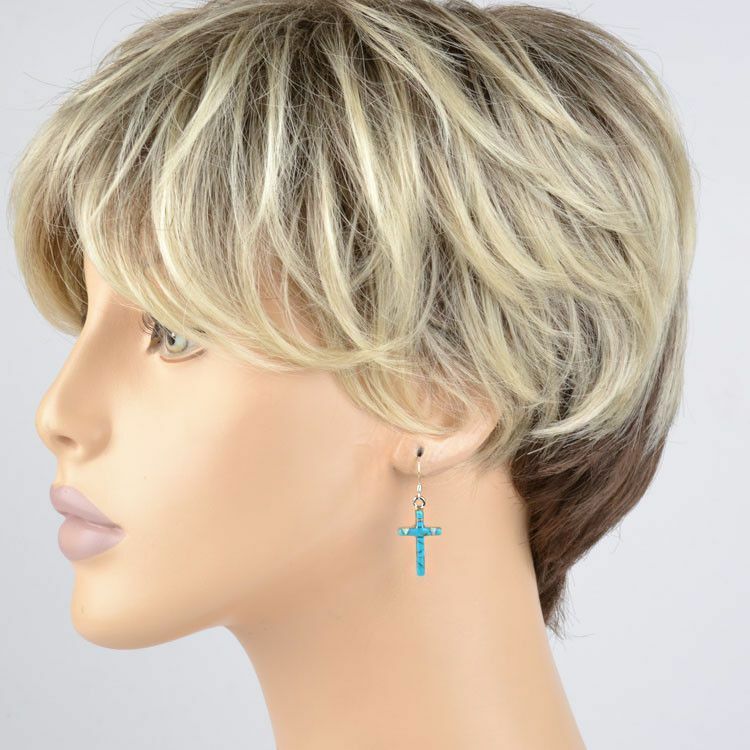 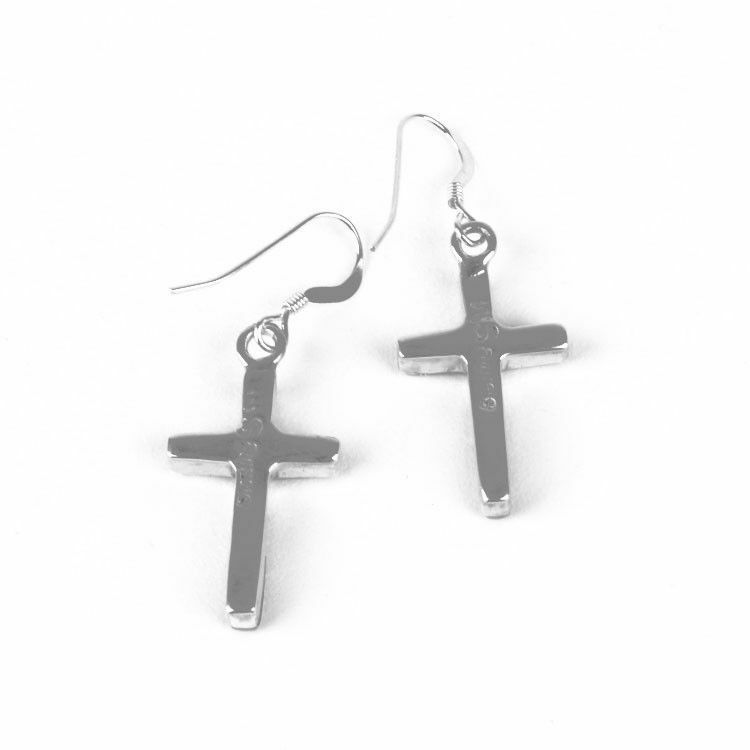 These cross earrings are a beautiful, stylish way to wear religious jewelry. 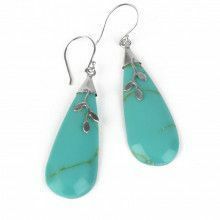 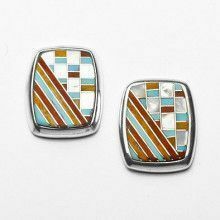 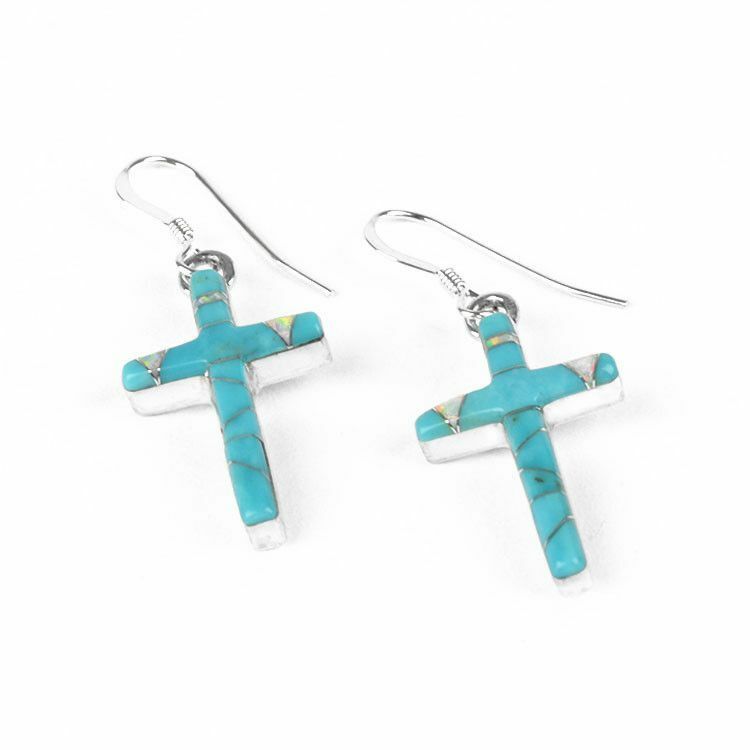 Each 7/8" long cross features natural turquoise and opal inlay. 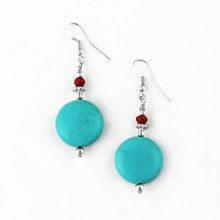 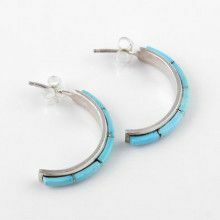 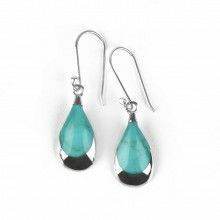 The 1 1/2" long earrings are made with sterling .925 silver and have simple, easy hooks.